Structurally calculated and indemnified product. 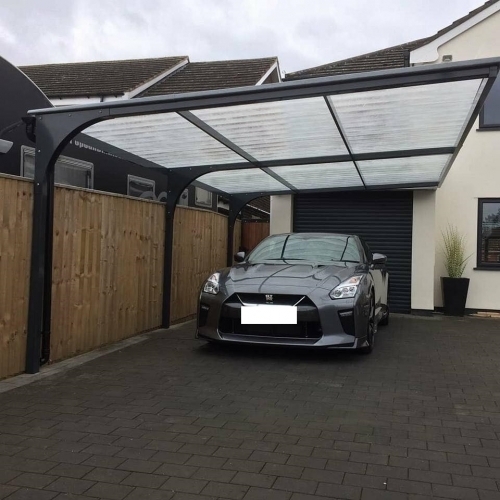 Offering full coverage of England and Wales, Pro Port Canopies Ltd pride ourselves on making sure you get exactly the right type of carport or canopy to suit your property first time and every time. We won't send a subcontracted salesperson to visit you. Instead you'll get a survey by an expert with over 15 years experience in installing carports. Welcome to Pro Port Canopies, manufacturer of bespoke carports and canopies. We are a small family run business that aims to give all customer's the best possible value and quality for money on the carports and canopies we fit throughout the UK. Based in the Midlands we offer a complete and professional service from survey to installation with over 15 years experience, zero failures and zero service calls. We specialize in tapered canopies and are one of the market leaders for carports / canopies. We have various styles of canopy to suit any application and size and can supply the canopies in ANY colour, the possibilities are endless. Offering a full 10 year guarantee on our products you can be confident that, when you purchase a Pro Port Canopy, you are buying a quality product from a reputable company that puts the requirements of each individual customer first.